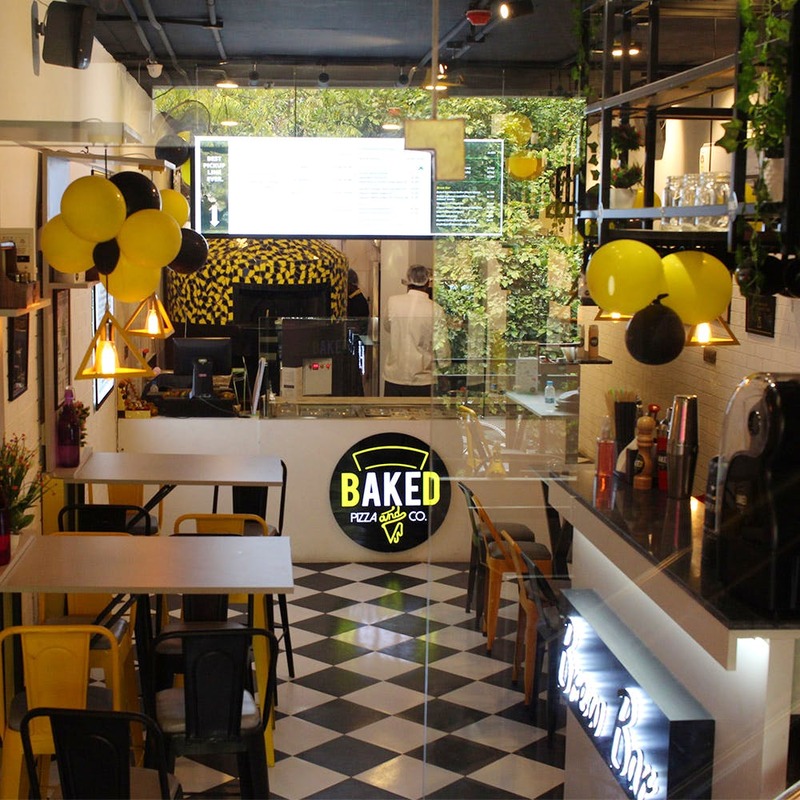 GK 1 recently welcomed Baked Pizza & Co, a pizzeria designed with a fast-casual concept (Basically, you won’t have to wait long for that beauty-on-a-plate to arrive). This place is like Subway for pizza—you can build your own by picking your choice of crust, sauce and toppings (they’ve got more than 30 options). The rates are pretty affordable too. To give you an idea, the 9 inch ones begin at INR 299 and the 12 inch ones at INR 399. Apart from that, they’ve got salads, stone-baked pastas, a matcha bar and a brew bar. My friend and I tried one dish from every section, and weren’t left disappointed at all. We had their signature Fake-Fried Fries (you’ll miss the fried taste, but they’re still worth trying) , stone-baked mac and cheese (the best of the lot), matcha mocktail, Walfdorf Salad With Apples And Nuts (the quantity of that is A LOT) and a Farmer’s Market Pizza (the crust was spot-on). The ambience, too, is quite relaxed. The type you’d rush to post college or work for some filling comfort food. Their dessert menu has very few options right now, which I wish they would expand on a bit. Also On Baked Pizza & Co.